Looking Within, Looking without includes discussions based on archaeology, visual representations, the Sanskrit epics, medical literature, early Tamil texts, compositions drawn from a variety of religious traditions, official documents including court records, and inscriptions. Chronologically, the volume ranges from the early historic to the early modern period. Spatially, the regions explored include the Gangetic Valley, Tamil Nadu, Kerala, Maharashtra, Bengal and Rajasthan. The contributors envisage the household as a site of production, consumption and distribution, and as one where cultural meanings are constituted, communicated and contested. Running through the essays is a focus on the everyday, on the ways in which gender, class, caste and community identities evolve through and revolve around the household. What emerges is a richly textured, complex set of arguments, which inevitably step beyond the household, drawing attention to connections with the wider world. As a tribute to the memory of Nandita Prasad Sahai, a careful, committed and passionate historian and teacher, the volume creates space for dialogue, debate and difference as the contributors bring their distinctive perspectives and questions on an institution that is often naturalized and taken for granted. Kumkum Roy teaches ancient history at the Centre for Historical Studies, Jawaharlal Nehru University, New Delhi. Her publications include The Emergence of Monarchy in North India (1994), A Historical Dictionary of Ancient India (2010), and The Power of Gender and the Gender of Power (2010). She is interested in issues of gender, political institutions, social history and pedagogy. 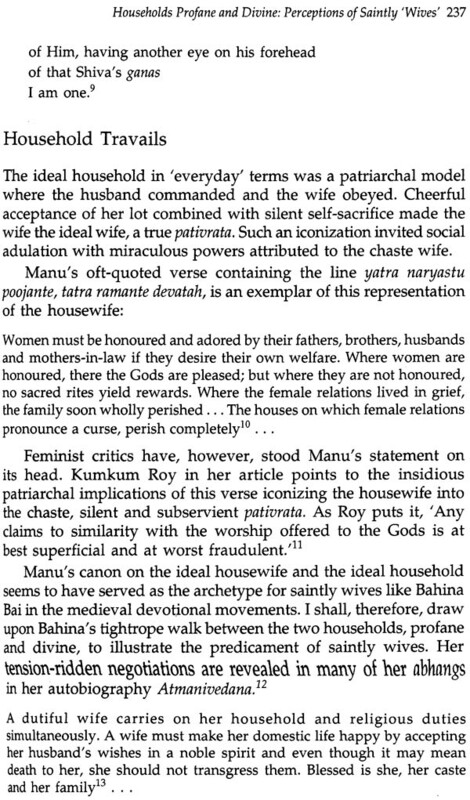 WHEN NANDITA PRASAD SAHAI and I decided to organize a conference on households in the pre-colonial context, we were at once excited about its potential and somewhat uncertain as to what the response would be. One of the questions that we were grappling with, and which remains central to the larger project, even as it is only implicitly addressed in this anthology, was the inadequacy of conventional chronologies. The inability of dynastic frameworks to capture the everyday, so central to understanding households, is more than obvious. At the same time, alternative frameworks, such as Marxist paradigms, while challenging and stimulating, have yet to open up to institutions that are not apparently part of large, overarching processes and structures, even as they may be part of the lived experiences of ordinary people. Households provide an almost self-evident entry point into the everyday. And yet, households are generally taken for granted and naturalized. Retrieving them for historical scrutiny and analysis, then, requires a conscious and systematic effort to create the space and move beyond commonsensical generalizations. Once such spaces are opened up, households prove to be an extraordinarily fruitful site for exploring the everyday. A whole range of questions emerges. How are households constituted? How are they sustained? How can intra-household relationships be recovered? How do we contextualize households in terms of one another and in terms of other social institutions? Given that the household is a site where social meaning is constructed and contested, how do we explore these complexities? And how do we create a space to discuss relationships of affect in historical terms? While the conference itself was organized around certain themes, the present anthology both reflects those concerns as well as shifts, inevitable in the gestation period and in the history of the volume. 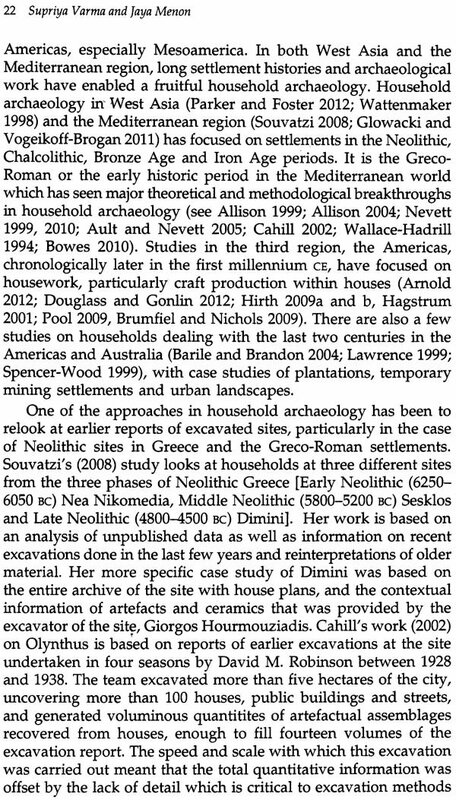 But before turning to the specificities, it may be useful to draw attention to some of the issues that have animated historical explorations of households in recent decades. Some of these resonate with the ideas of our contributors while many more remain relatively unaddressed within the context of pre-colonial South Asia. It is likely that both the issues that we have been able to focus on and others will acquire centrality in the years to come. Besides, these questions and themes by no means foreclose other possibilities. The last decade or so has witnessed several forays into understanding the household, and the family, categories that overlap and intersect in ways that are sometimes messy and confusing. One of the major turning points emerged from the 29th South Asia Conference at the University of Wisconsin-Madison, where a panel on the theme of the family resulted in a volume, significantly titled Unfamiliar Relations, edited by Indrani Chatterjee. In her introduction, Chatterjee pointed out how a history of the household was yet to be written. 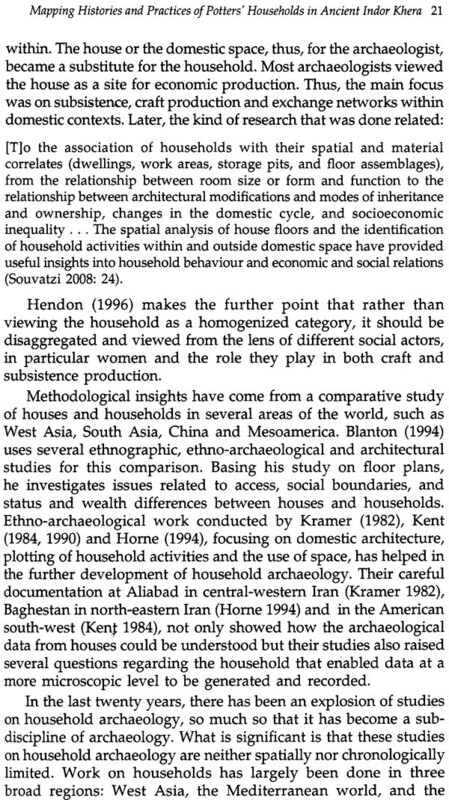 A decade later, we cannot claim to be nearer to the goal; what we have instead are a variety of ways of approaching and understanding the household in the pre-colonial context. 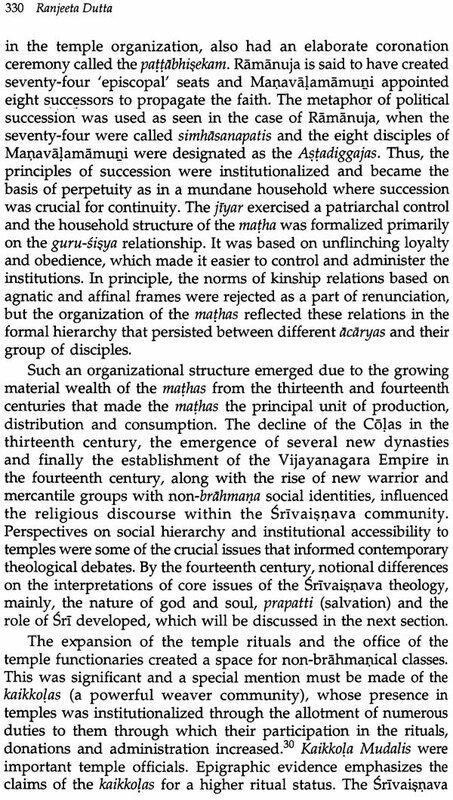 Even as the households associated with major dynasties (what we in the conference termed ‘the super households’) do not figure in the present anthology, they have received scholarly attention elsewhere. Ruby Lal’s study of the Mughals, for instance, challenges the public-private divide, arguing cogently and consistently for conceptualizing the relationship as much more fluid. This allows her to engage with the political from a different vantage point, enriching our understanding of early Mughal structures and processes. The larger issue of porous boundaries between the individual household and other institutions/ spaces is one that finds resonance in several contributions to this volume. For those engaging with the early historic period, Jaya Tyagi’s study titled Engendering the Early Household opened up new possibilities. Given the nature of her sources, she investigates the household as a ritual space, but reads the texts to argue that rituals were closely woven into processes of socialization, production, consumption, distribution, and reproduction in both the broader sense of social reproduction, as well as biological procreation. Once again, many of these concerns run through the essays in this anthology. An anthology edited by Beryl Rawson gives a sense of the range of concerns that now attract scholarly attention. 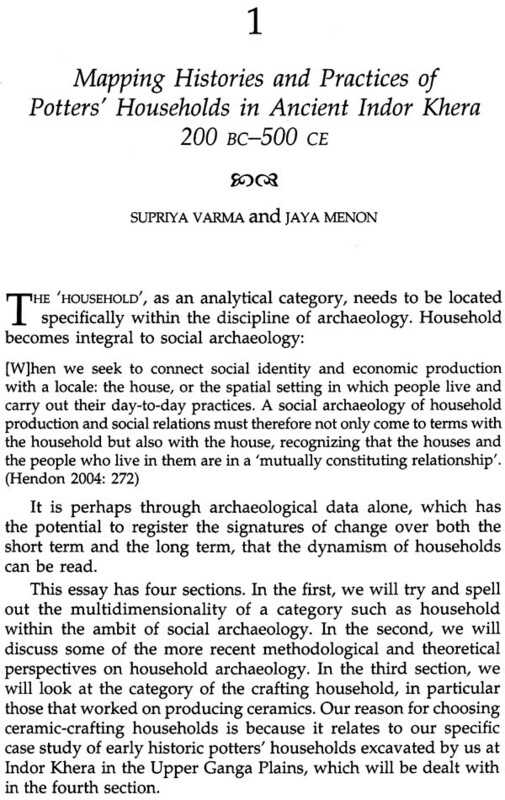 These include studies of the spatial organization of the house, membership of the household including non-kin and children, rites of passage and their significance, the interface with legal institutions and the state, variations between the urban and rural, and ways of memorializing the household, to name a few. Many, if not all, these concerns are shared by the authors who have contributed to this volume. One of the questions that have dominated studies on the household is that of membership. Are members inevitably bound by ties of kinship? How do we understand the ways in which kinship ties are naturalized had socialized? 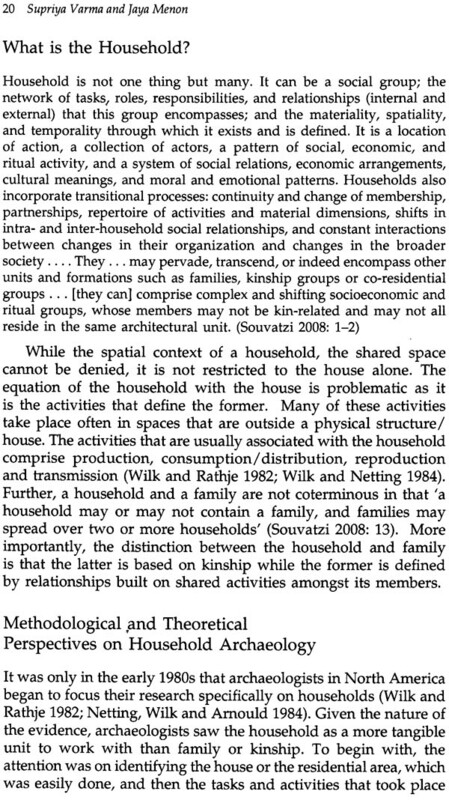 To what extent do the categories of family and household coincide/overlap/ intersect and even diverge? How central is the presence/absence of children to demarcate a space as domestic? Some of the essays in the present anthology touch on these issues, others take the relationship between family and household for granted, while others problematize the relationship. 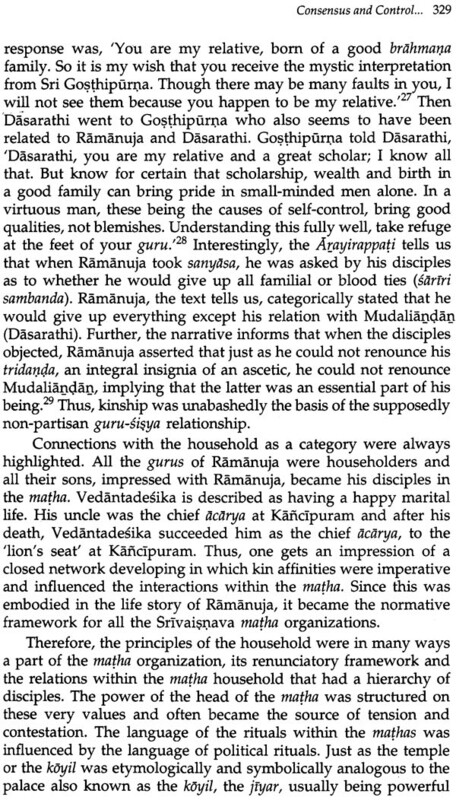 And yet, as has long been recognized in household studies, kinship ties and co-residence, which seem to be one of the unique features of households, are by no means coterminous. One of the occasions during which kinship ties attain dramatic visibility is that of marriage. More often than not, this coincides with changes in the membership of households, both in terms of new recruitment for some households, and loss of members for others, as well as,at least occasionally, in the setting up of new households. Marriage is also an occasion for proclaiming the status of the household in the public domain. 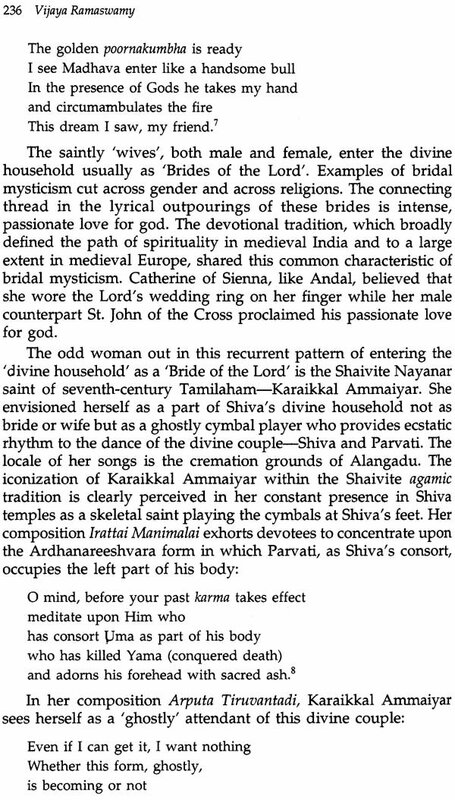 It is in this context that the significance attached to both the rituals and the institutions of marriage emerges as a running theme in several contributions. 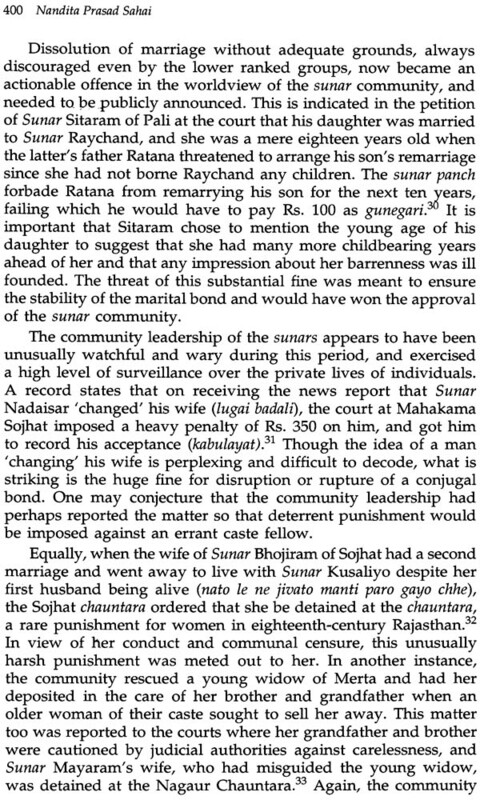 Jaya Tyagi and R. Mahalakshmi, for instance, focus on the normative construction of marriage, and the marital bond and its significance is a concern for Vijaya Ramaswamy. Both Rosalind O’Hanlon’s and Nandita Prasad Sahai’s contributions alert us to the ways in which marriage figures as an occasion for constituting and demonstrating social identities, and for making and contesting the meanings attributed to these. More specifically, they remind us of the ways in which these are tied in with constructing caste identities in particular contexts. 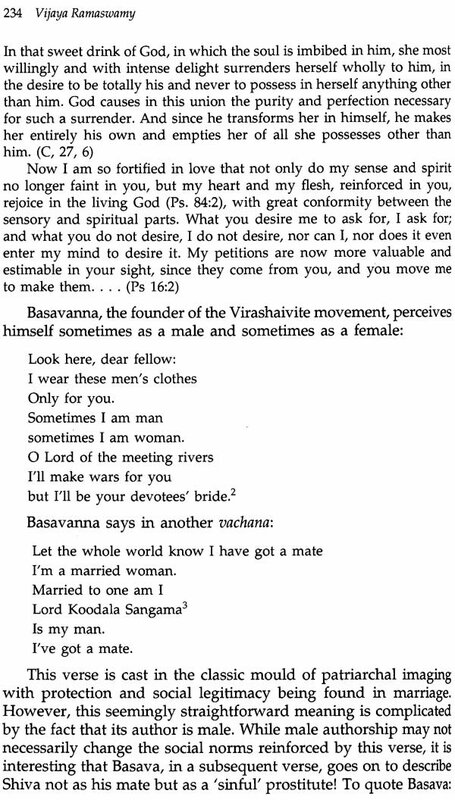 Related to these concerns is Uma Chakravarti’s account of the denial of marital rights to Karna in the Mahabharata —a fallout of his ambiguous social identity. 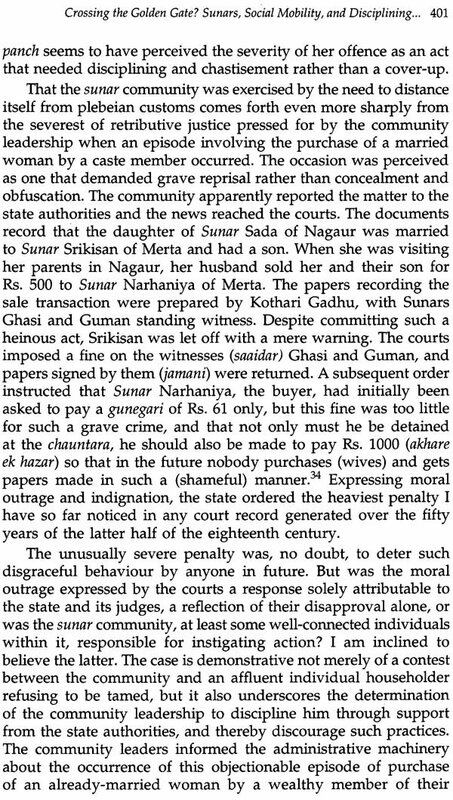 Other contributions explore the significance of the denial or even absence of marital ties. 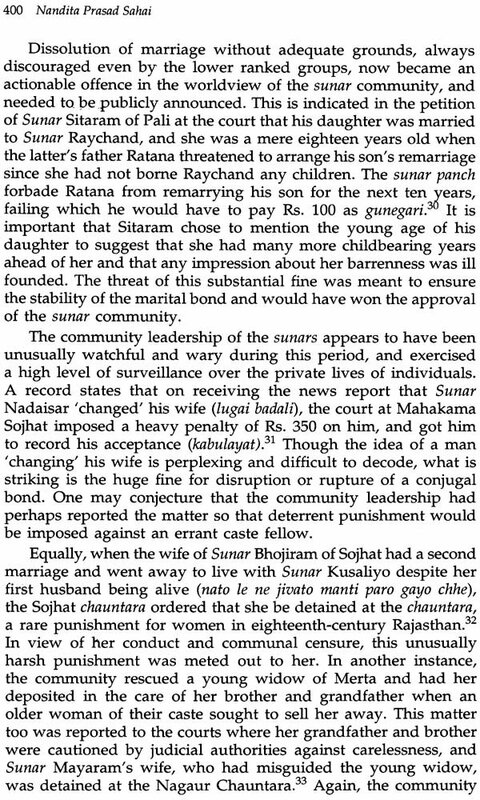 Denying bonds of marriage was fundamental to several renunciatory orders, of which the early Buddhist tradition is explored in this volume by Kumkum Roy. But, perhaps more challenging to normative formulations of marriage is the category of ‘non-wives’ that Leslie C. Orr carefully extracts from her analysis of a set of inscriptions. There is yet another category defined in terms of marriage that of the widow, in whose case the death of her partner tends to push her to the margins of the household within the normative tradition. Not all the essays focus on the widow in identical ways. 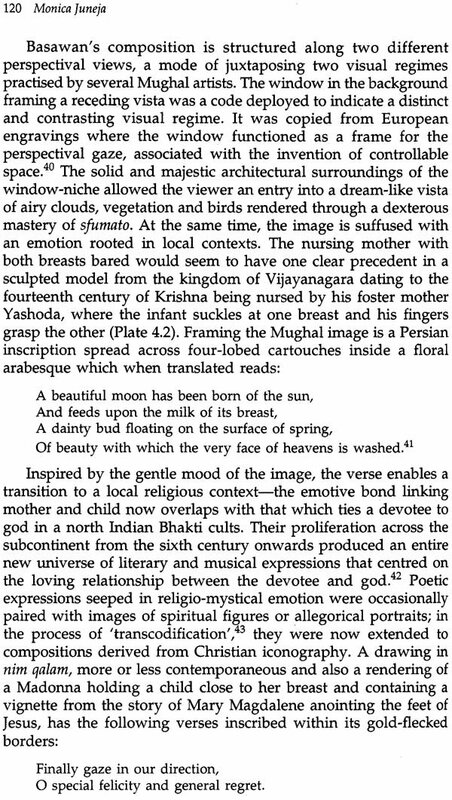 For instance, Chakravart’s discussion on Kunti in the Mahabharata is in terms of motherhood rather than widowhood. However, both O’Hanlon and Sahai draw attention to this figure, marginal and ambivalent, and the ways in which attempts were made to control her, as well as, in Sahai’s discussion, how the widow often intervened in the complex social webs in which she was enmeshed. If marriage is one point of recruitment into the household, birth constitutes another. 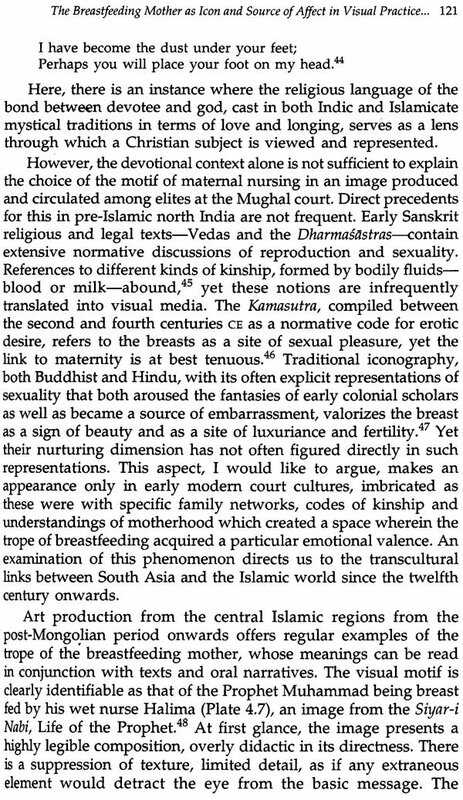 While all three essays in Part II (Martha Selby, Sally J. Sutherland Goldman and Monica Juneja) focus on representations of birth and/ or motherhood, discussed below, Chakravarti draws attention to the ways in which birth in itself is not sufficient to guarantee entry into the household in general and the royal household in particular. In the process, she opens up space for discussing recruitment through adoption, and the implications, and potential conflicts between different networks within which individuals are located. Implicit in this and other contributions is the practice of conceptualizing relationships amongst those who share the household space in terms of idioms of kinship. The line between ‘real’ and ‘fictive’ kin is often fuzzy, and opens up space for complexities in everyday interaction. Moving beyond birth, children, no matter how they were constituted socially, figure only to an extent in the present anthology. Their presence is suggested by Supriya Varma and Jaya Menon, and they figure, somewhat differently, in the document that O’Hanlon analyses, but these is clearly much more that we need to know and understand. Also interesting is the way in which many of the contributors tend to focus on women. This is probably inevitable, given that women and domesticity have often been represented as synonymous in several contexts and traditions. At the same time, we need to recognize this as being potentially both enriching and restricting. While this focus does create space for an intense engagement (Martha Selby), it also occasionally obscures more complex frameworks of power and authority within which gender relations in the household can be located. At another level, several of the contributors reconstruct the everyday worlds of households in vivid, almost graphic detail. 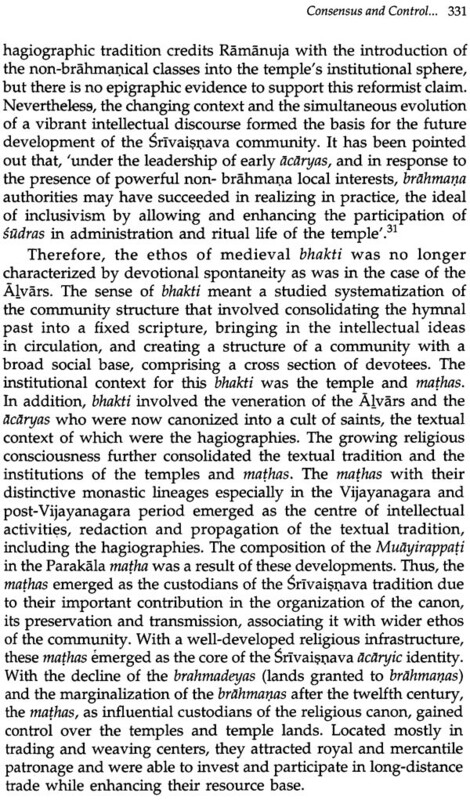 These emerge, for instance, in the contributions of Malekandathil, Datta, O’Hanlon and Sahai. These provide us with a sense of the immense possibilities of reconstructing the pasts of households in all their diversity. Perhaps one of the most challenging dimensions of putting together the present anthology was the sheer diversity of sources the contributors brought to bear on the issues they were addressing. 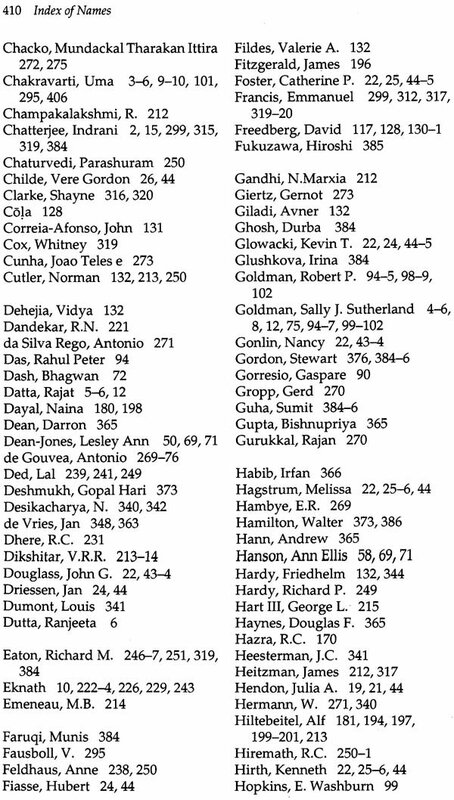 These range from archaeological evidence (Varma and Menon) to a variety of texts in several languages. 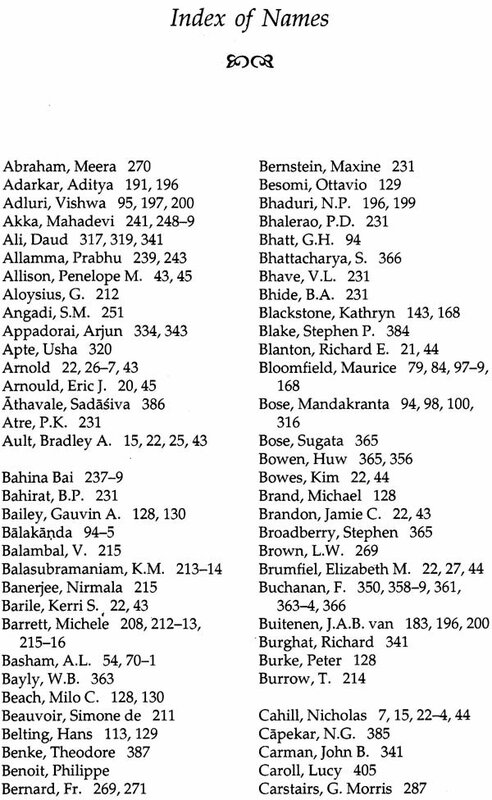 These include the Ramayana (Sutherland Goldman), Mahabharata (Chakravarti) and the Tirukkural (Mahalakshmi) that have been tapped with almost unfailing regularity by scholars of ancient and early medieval India, as well as the more technical medical treatises in Sanskrit that Selby opens up for scrutiny. 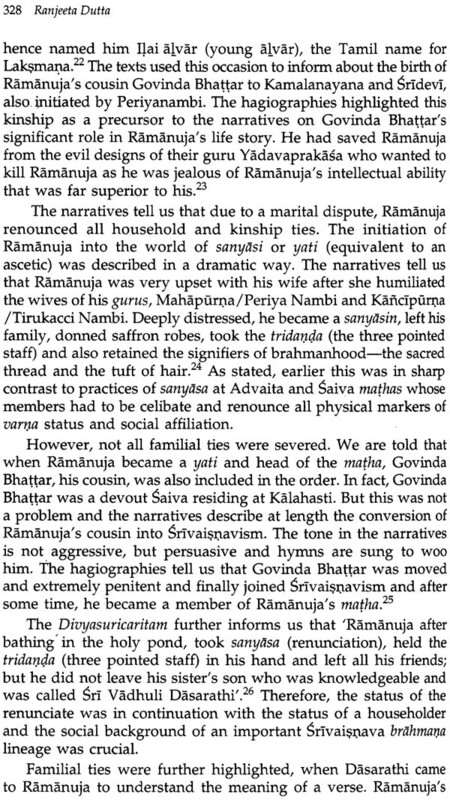 Other textual traditions that are explored include parts of the Pali canon (Roy), the Sanskrit sastric and Puranic traditions (Tyagi), the textualized compositions in a range of regional languages attributed to those within devotional movements (Kadam, Ramaswamy and Dutta). Yet, others have chosen to open up different genres of sources. 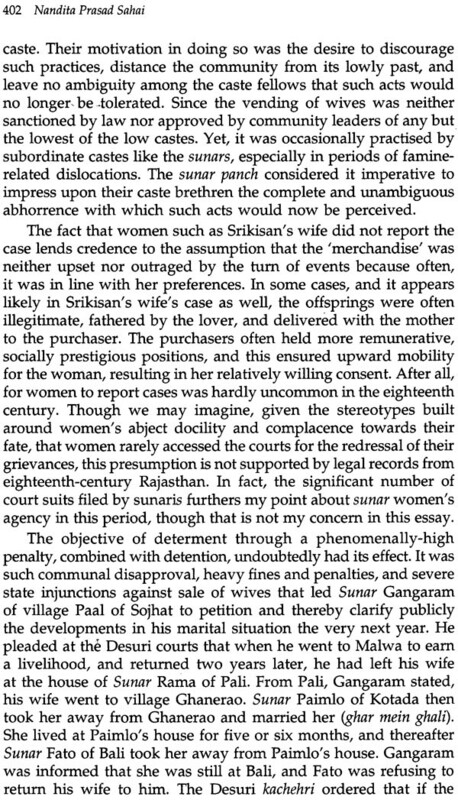 Orr, for instance, focuses on Tamil inscriptions, while Sahai’s essay draws substantially on court records from early modern Rajasthan. Malekandathil sifts through several different kinds of sources to reconstruct the dynamics of households within a distinct community in Kerala, while Juneja uses her analysis of visual material to track the ways in which representations travel through time and space.